We Want You to Go to Class! 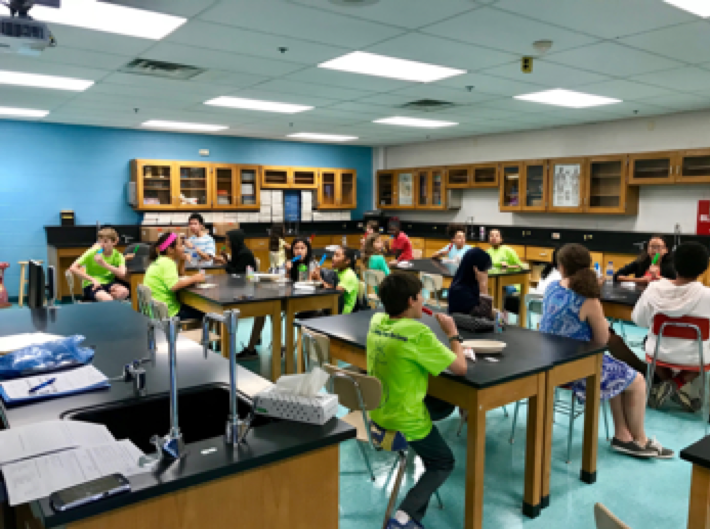 Our students desperately need to have some face to face time with scientists and engineers who are doing amazing things to make their world a better place. That means you guys! From time to time, you may be invited to give a presentation on your work to kids in some context- and we want to make it easier for you. You might even reach out yourself to your local school and offer to come in and give a talk. Having been a classroom teacher across all grade levels by the time I finished my illustrious career, I know personally the joy of having real STEM professionals come in and share the excitement and wonder of their work with my students. I also know that many of them felt a bit out of their comfort zone trying to explain what they did to the eager little 6-year-old faces looking up at them. Below you will find some hints, Best Practices, links to the National Science Standards, and sample activities to do with kids across all grade levels, from pre-K to high school! Should you have any questions, feel free to reach out to me. I can also send you some GPM “droplets”, anime comic books, and/or stickers to hand out while you are visiting the students. Contact me at dorian.w.janney@nasa.gov . Be sure to give me at least three weeks to mail things out. Click on the age/grade levels below to see ideas for how you can “Go to Class” and make lasting memories as you inspire kids and their teachers!